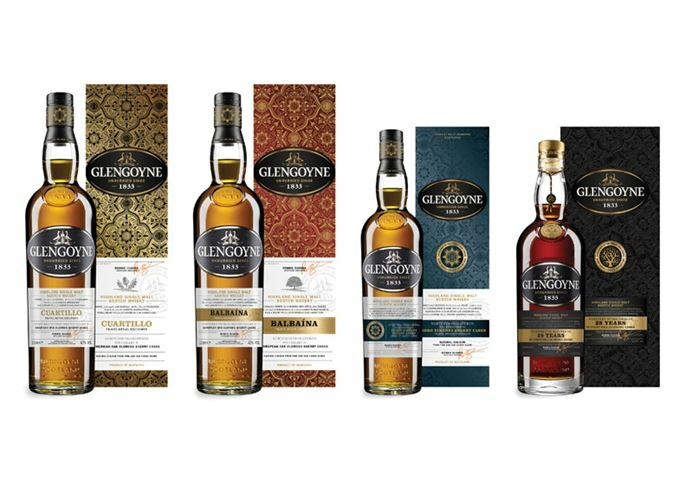 Glengoyne has unveiled a new collection of single malts designed to honour the Sherry casks used by the Highland distillery. The Spirit of Oak collection is a four-bottle range of malts matured in ex-Sherry casks that will be released exclusively in global travel retail next year. Glengoyne Cuartillo, named after the rural neighbourhood, or pagos, in Jerez, Spain, has been matured in first-fill American oak oloroso Sherry casks. Bottled at 40% abv and without an age statement, it is said to contain notes of ‘toffee, apricots, and a hint of cinnamon’. Glengoyne Balbaína, also named in tribute to the pagos its cask came from, has been matured in first-fill European oak oloroso casks, and bottled at 43% abv. The expression is described as having notes of ‘caramel, dried apple, and cloves’. The only expression in the collection with an age statement is Glengoyne 28 Year Old, which has been matured in first-fill American and European oak oloroso Sherry casks. Bottled at 46.8% abv, it is described as ‘complex and deep, with rich fruit and elegant spice’. Lastly, Glengoyne PX has been aged in European and American oak before being finished in Pedro Ximenez casks. Bottled at 46% abv, it is said to embody flavours of ‘fresh oak, spice and a touch of caramelised sugar’. The Curatillo and Balbaína will be sold in one-litre bottles, and the PX and 28-year-old expressions in 70cl bottles. The Spirit of Oak collection will be available in duty free stores worldwide from early 2018, with prices yet to be confirmed. Only 6,000 bottles of the new single malt expression will be available each year.